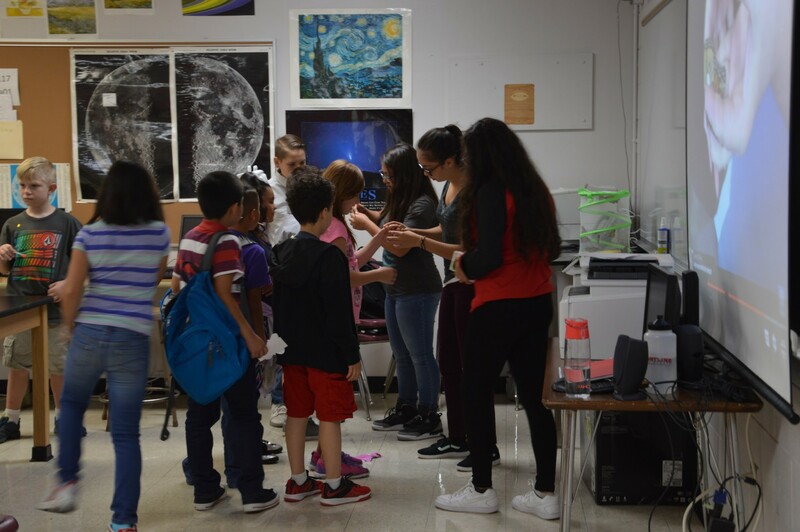 Freshmen Ericka Carias, Natalia Valenzuela and Alejandro Diaz-Sanchez teach third graders. 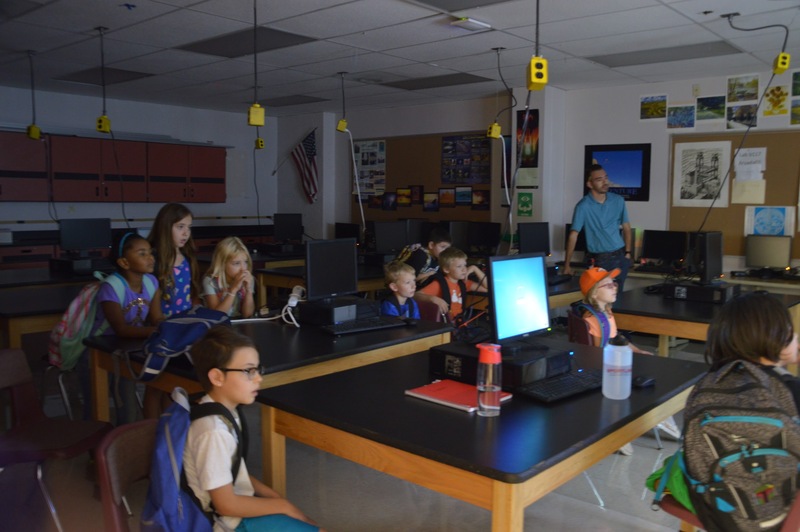 Continuing the annual tradition of encouraging young students to attend Arvada High, students from Joe Ventola’s AP Environmental Science classes taught third graders from Peck Elementary all about monarch butterflies. 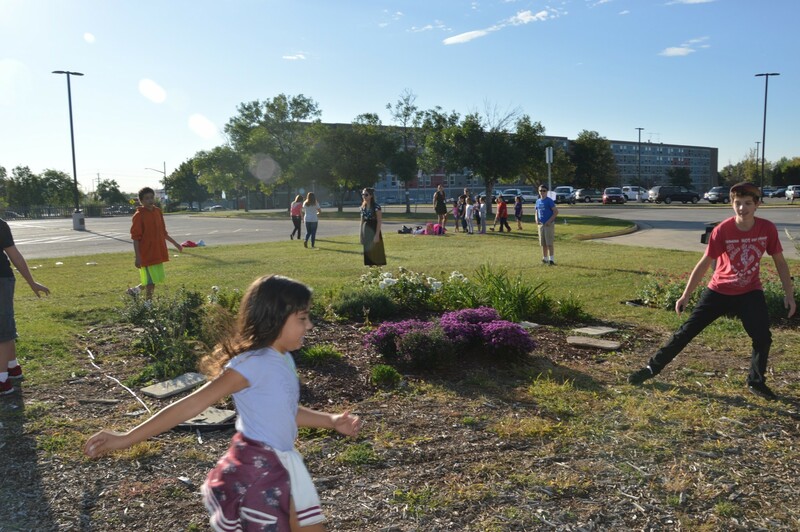 On Sept. 13, the young children were put into groups and circulated through 12 student-created stations focusing on topics such as, the life cycle and the human impact on the insects. Ventola and his students hoped to show off what makes the school worth attending. “The issue [is] getting families and students familiar with the high school and having them [be] able to see that the high school isn’t as big and scary and as bad as they think it might be,” Ventola said. The third graders play a game, led by freshman Tavion Lister, Nathanael Sartor, Clinton Eckenrod and Josh Salmens outside to learn about butterfly migration. Photo by Phoenix Mackay. Putting older students into a teaching role also helped them learn the information themselves. Teachers across campus are adopting this shift from traditional learning, making it the center of the school’s mission statement. The third graders get up close and personal with the monarch butterflies. Photo by Phoenix Mackay. The science hall wasn’t the only department that got to teach the kids and change the perception of the school. They also had the chance to visit the auditorium to join the Advanced Acting in some improv games. According to Robertson, involving the whole school in engaging the feeder schools goes a long way in encouraging more students to come to Arvada High. 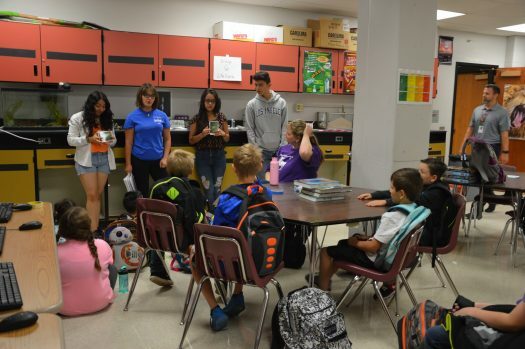 “It’s incredibly important, because a lot of these students are the future Arvada High School students, and making a good impression on these younger students now, today, will hopefully leave them to be excited to attend Arvada High School,” Robertson said. 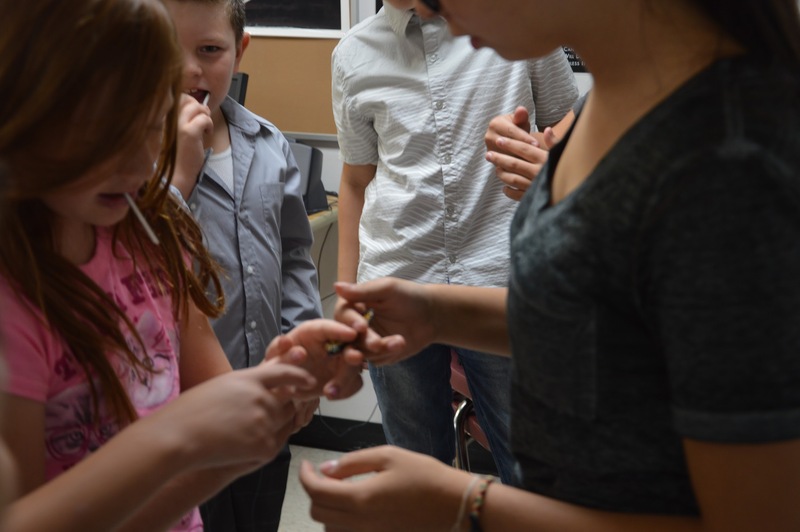 The freshmen taught the third graders how to hold a butterfly so they can survive. Photo by Phoenix Mackay. The activities not only encouraged the younger students to attend, but also prepared them for high school life. “[The activities] prepare them for some of the activities they may see, some of the content they may see, and it helps community bonding.” Robertson said. Freshmen present a slideshow about the life cycle of monarch butterflies to the third graders. Photo by Phoenix Mackay. As the event continues to be successful, Ventola plans to keep up the tradition and the effort to promote the school.